The page title is the single most vital piece of information on your page when it comes to Meta tags optimization and achieving good rankings in search engines. The words you use in your title carry much more weight than anything else on your page. So use this limited space cleverly. Limit your page titles to 50-60 characters as most search engines do not read or list more than this. Use our Meta-tag tool to write html good title tags. See also the Get Visited section for more information on how to write good titles. Meta tags are pieces of text located in the header of your web pages. Text in a Meta tag is used to describe the page. Meta tags often are referred to as META-data, which means “data about data”, or in this case, data about your page. Meta tags can help search engines better understand and present links to your web site. Thus, it is highly recommended that you fill out the Meta tags on ALL of your web pages. There are many kinds of Meta tags and standards, but the only two you need when optimizing a web site are META-description tag and the META-keywords tag. How to add Meta tags to your web pages depends on how you maintain your web site. You should refer to the manual of the editor or content management system you are using for further detailed instructions. In most cases, there will be a siple box somewhere with two fields to fill out: The META-description and the META-keywords, or just “description” and “keywords”. Your program will usually take care of inserting the necessary HTML code in the right place for you. If you are coding your web pages by hand or in a simple HTML editor, make sure you do not make any syntax errors. If the Meta tags have not been coded correctly search engines will not be able to read and use them. META-keywords are very often misunderstood and misused. Some webmasters put hundreds of keywords in this tag in the completely unrealistic hope of receiving good rankings for everything listed. 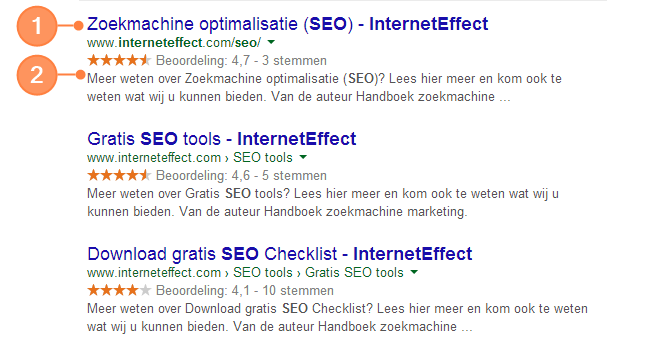 Some webmasters even include keywords that have absolutely nothing to do with the actual web page or web site. This action has forced the search engines to lower or even nullify the META-keywords importance in the determination of what a web page is about. However, some search engines still read and use the META-keywords. Thus, remember to write relevant META-keywords for all your web pages. Write a unique set of keywords for each web page. NEVER copy the same set of keywords for all your web pages. Do not add keywords that are not 100% directly related to each web page. To be safe, only use keywords that are found in the visual text of your web pages. It is often discussed whether or not to use commas between keywords. Most search engines will not care as they remove the commas before reading the keywords, but some search engines might still use the comma to find exact keyword and keyword phrase matches. In any case, the META-keyword tag does not carry much weight in the overall ranking algorithm for any of the major search engines and you will never get penalized for either using or not using commas. Some people use commas because it makes it easier to read in the raw code. This can be helpful if you want to edit the Meta tags by hand at a later time. The limit for the META-keyword tag is 1000 characters but you should never add that many keywords. Insert the 3 to 5 most important keywords for each given web page in the META-keywords tag – no more! The more keywords you use, the less weight they each carry. Will Meta tags optimization give me top rankings? No, Meta tags are not magic bullets. You will not achieve top rankings on keywords if you only use them in your Meta tags. However, we still recommend you fill out your Meta tags as some search engines do read and use the data. In those search engines, it will give you a better chance of receiving relevant visitors if you have Meta tag optimization. That is to say, correct, optimized, and relevant Meta tags on all your pages. Remember, only those words that appear in the main body of the page should be in the Meta tags.